30-year-old designer Anniesa Hasibuan broke all types of barriers this New York Fashion Week. As the first Indonesian artist to ever present a collection on this platform. "I want to bring the Indonesian name to the fashion world, and use my clothes to introduce people to the different and diverse parts of Indonesia," Hasibuan told The Jakarta Post. Finally we have added some South East Asian flavor to the runway. But her cultural background isn't all she had to offer. Hasibuan is the very first designer to showcase an entire collection with models wearing Hijabs! With the Muslim community constantly under scrutiny and ignorantly stereotyped, it's about time we see a trailblazer hitting fashion's biggest stage. For Muslim women, Hijabs are traditionally a symbol of modesty, privacy and morality. But in America, far too often the veil creates a stubborn fear embodied by a lack of understanding. 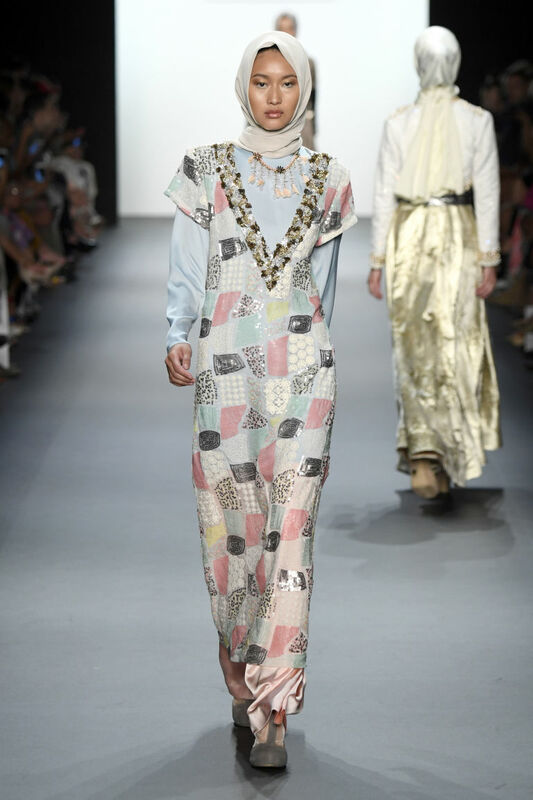 But now, this pioneer has showcased her traditional Islam religious attire to show style and poise on the catwalk. A presentation that was completely fearless and diversely fierce. She literally embodies everything we need in fashion right now! We Recognize You Strada: "It Matters"!